1881 advertisement for C. Barcant & Company Jewelers, Port of Spain, in the early 1881 issues of the "Trinidad Palladium" (Port of Spain newspaper). This advertisement was first placed in late 1880 and appeared in several succeeding issues of the newspaper in early 1881. Charles and Teddie Barcant, at the 1955 wedding of their son, Kevin. Photograph in the possession of Maren Barcant, their daughter-in-law. Denise Barcant, from a newspaper story on her disappearance published in the Trinidad Guardian on 12 September 2009. Advertisement on page 5 of the Port of Spain Gazette, January 3, 1907, for C. Barcant & Co., jewelers. Kevin Barcant in later years. Kevin Charles Barcant as a baby. Photograph in the possession of Maren (née Krogh) Barcant, his wife. Kevin Charles Barcant as a student at MIT in Boston, circa late 1940s. Photograph in the possession of Maren (née Krogh) Barcant, his wife. Kevin Charles Barcant aboard a passenger ship, probably en route to the United States where he was a student, circa late 1940s. Photograph in the possession of Maren (née Krogh) Barcant, his wife. Malcolm Barcant. Detail of picture from the Angostura Museum and Barcant Butterfly Collection Facebook page. Photograph of Grace E. McLaughlin (née Benner), taken from her obituary. Violet (née Blanc) Krogh. Photograph in the possession of Maren Barcant, who provided the identification. John Thomas Boyd (1906-1988), detail from wedding photograph. Photograph and attribution provided by his grandson, Chuck Clarke. 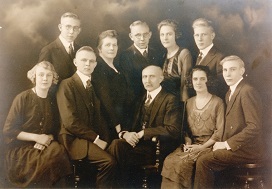 John T. and Elizabeth (née Dolan) Boyd and their three children (from left) Norman, John R., and (in front) Mary. 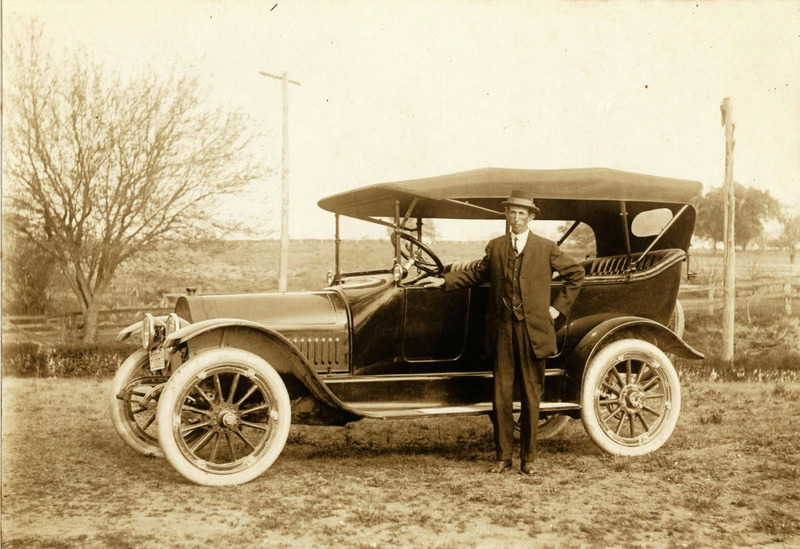 Photograph and identifications provided by Chuck Clarke. John T. and Elizabeth Boyd with two of their three children, Norman and Mary. Photograph and identification provided by Chuck Clarke. Photo of Fr. Norman Boyd, SA, from Amarillo Diocese newspaper. Norman Boyd, SA, giving his first blessing as a priest to his parents. Photograph and identifications provided by Chuck Clarke. Albert Branson. Original in possession of Althea and Allen Clark, who provided the identification. Howard Branson at home. Original in possession of Althea and Allen Clark, who provided the identification. Albert, Effa Hurd,and Howard Branson. Photograph from collection of Catherine Baynard Hurd Dolan, who provided the indentification. 8 cm by 13 cm photographic post card by Miller Art Photo Shop, 2511 Boardwalk, Atlantic City, New Jersey. Original in possession of Catherine Dolan Simon. Howard Branson and his second wife Effa Hurd Branson, and Howard's mother Elizabeth Hurd Branson. Photo provided by Allen and Althea Clark. Viola Branson. Original in possession of Althea and Allen Clark, who provided the identification. Photograph of corner of South Broad Street and Sansom Street, circa 1864. This is the current location of the Union League of Philadelphia building. This photograph shows the process of demolition of buildings on the site to construct the Union League building. The buildings previously shown to the left of this one (in the watercolor from 1863) have been removed. The buildings in the background on the left side of the picture faced onto Moravian Street, and may include the building in which the McGillin family lived up to 1863. Original in the collection of the Historical Society of Pennsylvania. Watercolor of South Broad Street, between Sansom and Moravian Streets, painted on September 10, 1863. This is the current location of the Union League of Philadelphia building. This picture depicts the buildings identified by Philadelphia City Directories at the time as housing the first tavern of William McGillin. Original picture in collection of the Historical Society of Pennsylvania. Horace Bryant, as infant. Photograph from collection of Catherine Baynard Hurd Dolan, who provided the indentification. 6 cm by 10 cm sepia print, mounted on cardboard, by E.J. Hunt, 319 Federal Street, Camden, N.J. Original in possession of Catherine Dolan Simon. Horace Bryant, as boy. Photograph from collection of Catherine Baynard Hurd Dolan, who provided the indentification. 7.5 cm by 10 cm sepia print, mounted on cardboard, by Garns and Co., 206 Federal Street, Camden, N.J. Original in possession of Catherine Dolan Simon. Jeannette Bryant. Photograph from collection of Catherine Baynard Hurd Dolan, who provided the identification. 10 cm by 14 cm sepia print, mounted on cardboard, by Fowler Studio, 238 N. 8th Street, Philadelphia, Pa. Original in possession of Catherine Dolan Simon. Jeanette Bryant. Photograph from collection of Catherine Baynard Hurd Dolan, who provided the identification. 4.5 cm by 9.5 cm sepia print, mounted on cardboard. Original in possession of Catherine Dolan Simon. Photograph of the wife of Wilhelm Drube, born Franciska Budde. Photo from album of Bernard and Mary Simon, and currently in the possession of Robert M. Simon. Identified as the mother of Mary Franzisca Drube (but no name given) by Bernardine Simon Lorenz. Subsequent research in church records in Germany provided her name. 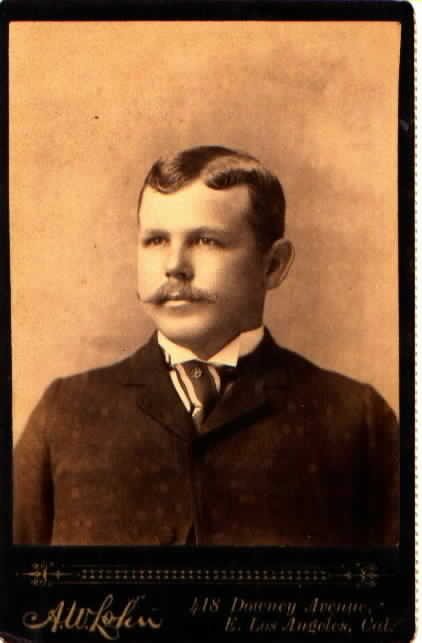 John W. Callaghan in later life. Rendition by Irish artist Seoirse Ó Dochartaigh of the Carr family genealogy written in Gaelic (the Gaelic rendering of Carr is Mac Giolla Cearra), surrounding the buildings of Station Island in Loch Derg. The genealogy starts with Simon Carr and follows his son Thomas who married Ann McGarrigle, their children, and the descendants of Bernard (Barney) Carr (1875-1962). Drawn for Kathleen Carr, who provided a copy to Robert M. Simon. Carr Homestead in Ballymacavany in 2016. The original structure consisted of the first floor section, without the wing to the left. The wing and the second floor were added later. Still owned and lived in by the Carr family, who explained this history to Robert Simon, who took the picture. Panoramic view of fields of the Carr homestead in Ballymacavany, as seen from the road in front of the main house. Photograph by Robert M. Simon. Maintained by Robert M. Simon.